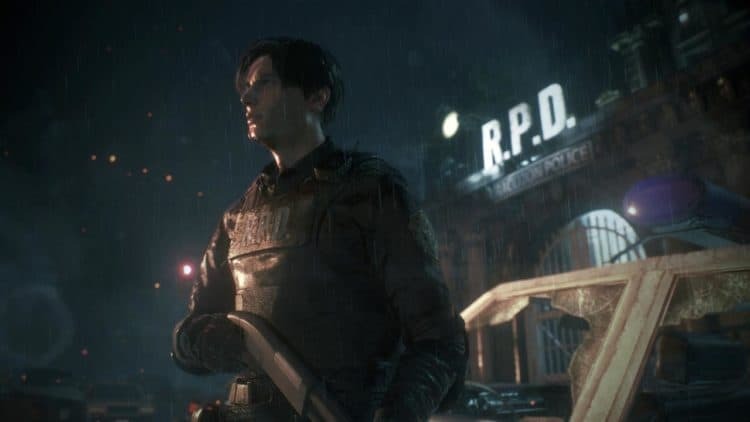 It’s kind of the hope that more than a few people have been able to pick up and play the newly released Resident Evil 2 remake. While it might not really be able to top the 1998 version it’s still worth talking about and even giving a very strong look for those that enjoyed the original. After all Resident Evil is one of the few horror franchises that has been around long enough and is still more than a little popular since it’s not only been a game and a movie but has also managed to convert a lot of fans to its cause over the years no matter how many ups and downs it’s had. Out of all the various characters that have been shown on the game Mr. X is perhaps one of those that has really been able to get hearts pounding and players ready to jump out of their seats since he seems to pop up at the most inopportune moments and can even seem to have the ability to simply know where the player is at any given time. To those that have played the game and even those that have just watched or even heard about it, Mr. X is perhaps one of the most daunting characters around since he’s so hard to stop and so determined in his obsession to go after the player no matter what’s in his way. One very big difference in the remake is his durability, as in the original it was possible to put him down with an ungodly amount of firepower and finally put him down for good eventually. But in the remake this will only stun him and eventually he’ll be back on his feet and actively hunting the player down in the same kind of determined fashion that people have been able to enjoy, in some sense, throughout the history of the game. The fact that Mr. X can be blown to bits isn’t really much of a consolation since by now his legend has kind of grown among Resident Evil fans and there’s not a lot that seems able to finally stop him, much as the creators of the game were going for in the first place. One thing about some games is that the creators seem to delight in creating monsters and characters that would take an act of God to finally put down as for some people the constant threat that such figures creates is intoxicating somehow. To others it’s just an annoyance that they have to work around, something that is as inevitable as an avalanche that one has to race ahead of in order to meet an objective. Mr. X is different in the remake in that he was a threat that would never break through anything in the original, but would remain a threat so long as the player was in the same room. In the remake this guy bursts through walls and appears out of nowhere when you least expect it and keeps the player on their toes thanks to the AI that’s been used to create a vicious and efficient hunter. Plus, the creators have even admitted that Mr. X has been programmed to actively seek the player out, using random routines that seem to mimic the actions of a real person that might be tracking the player down. Mr. X will actually check each section of an area and move on only when it’s assured that the player isn’t in the vicinity. But if the AI ‘hears’ something or senses that the player is nearby he’ll come knocking in a very aggressive fashion. In other words, if Mr. X notices that a player is around then he’ll go off searching for them. But if he doesn’t, then the AI will begin a room by room search until finding his objective. This is obviously not the kind of character you stand toe to toe with unless you have an arsenal or an army behind you that could take down a sizable threat. Mr. X isn’t the type of guy that your character would likely face alone and that’s usually why running is the best option since standing your ground is tantamount to saying that you want to see your character be killed. The best part of Mr. X is that he doesn’t move all that quickly and is fairly easy to get away from provided the player has room and isn’t being hemmed in by other creatures that are wanting a piece of them. Mr. X is pretty savage when he does catch up to a character, as you can see in the game. The best thing to do is typically run and keep running largely because the idea is that Mr. X is going to kill the player if they don’t.